This intimate, sophisticated hotel is in an ideal location, just off the main piazza del Duomo. It’s in the very historic heart of the city, yet away from the crowds of the main square. 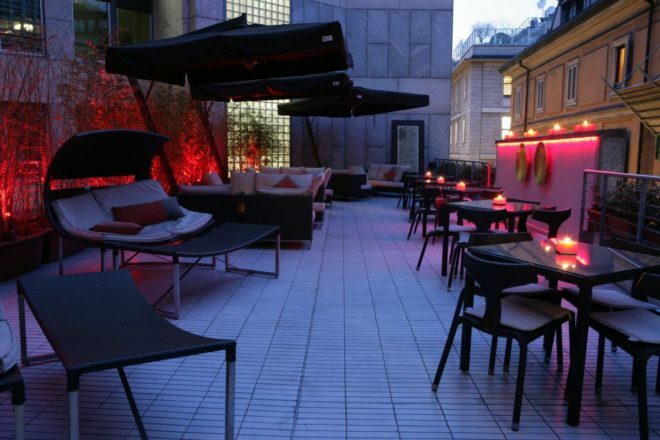 The property retains its original art nouveau façade, but as Milan’s first design hotel, also has beautiful contemporary interiors by Florence designer, Guido Cuido. Book room 101, 201 or 301 for a view directly over the stunning Galleria Vittorio Emanuele II. For both the financially prudent and the young at heart this award-winning hostel offers both private ensuite guest rooms as well as shared dorms. 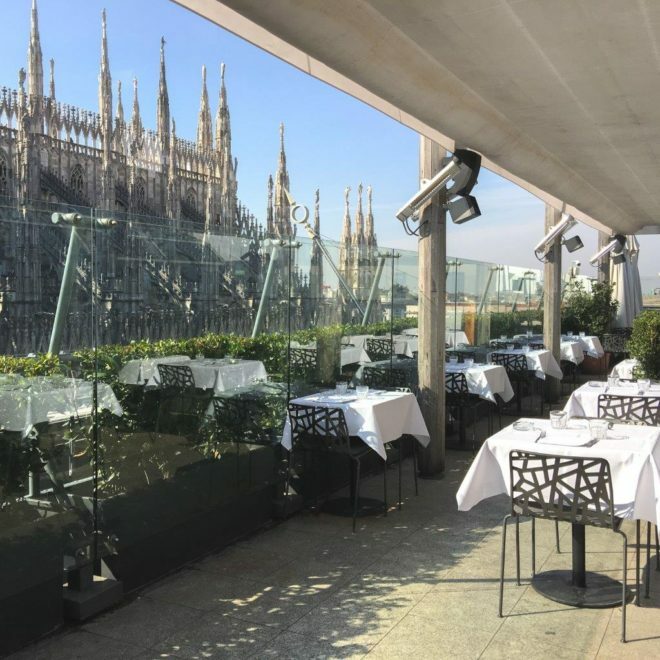 Accommodations for the budget traveller are somewhat limited in Milan’s city centre, however, there are also several other moderately priced options around Central Station. This chic department store has a 7th-floor food court with a stylish restaurant and bar with open air terrace. More elegant and authentic than the overtly tourist-filled terraces directly over-looking the piazza del Duomo. Here one can still enjoy great cathedral views yet mix with city residents. Presently with two outlets in the city, this deli restaurant offers fresh, good-value meals and snacks. 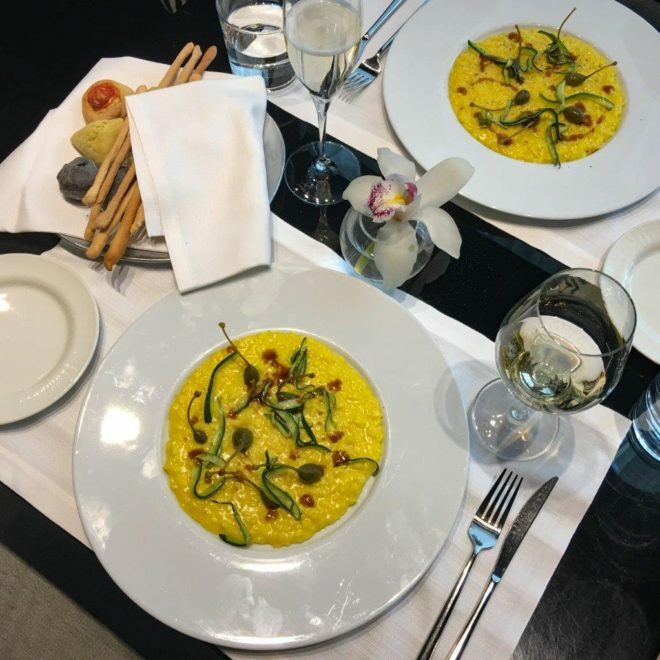 Eating close to the Piazza del Duomo can often be very expensive as well as disappointing. Yet this informal, contemporary café (via Vigevano, 43) offers great coffee and morning pastries from 7.30am and tasty snacks during the day ‘till late. A sophisticated restaurant with striking design. For a classic lunch order the generous veal breaded cutlet (cotoletta a la Milanesa) or risotto alla Milanese. New Gastronomic café on the ground floor of this historic, upscale delicatessen. This is also the place for a few cheeky, free snacks – since there is plenty of fresh, tasty produce to sample across the store’s three floors. 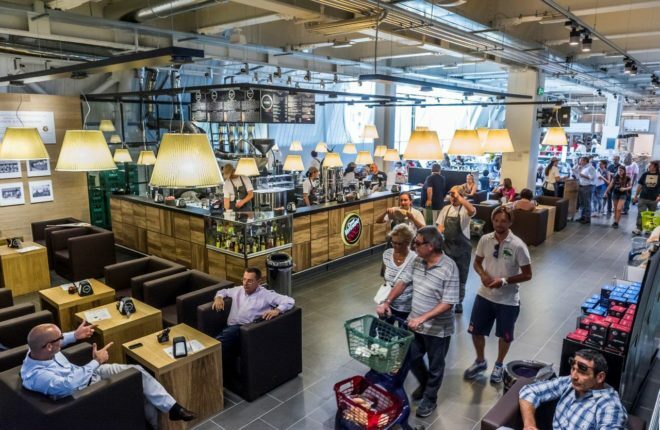 Four floors of food retailing and lots of places to eat Italian food – it’s not called ‘Eataly’ for nothing! The former theatre’s stage often provides free music and entertainment too. This chic store offers chocolate with plenty of glamour – what more do you want? For an elite night out, try Armani Privé Club within their flagship store. 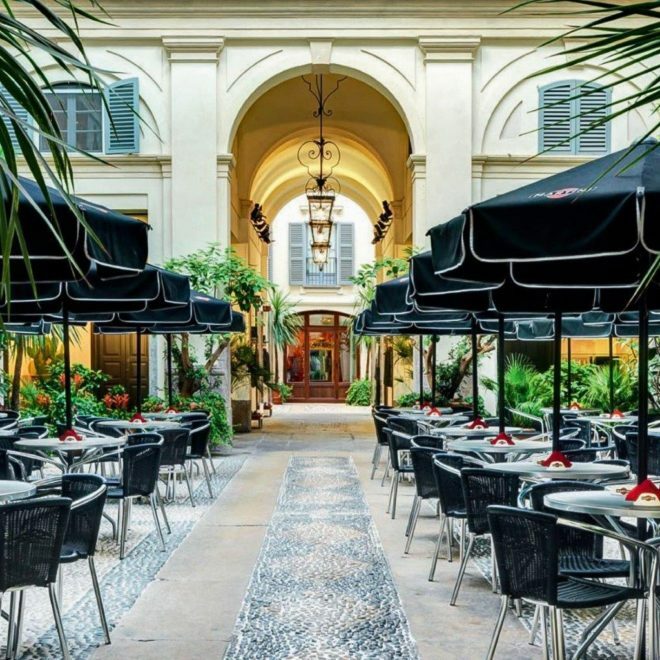 One of the city’s most renowned fashion brands has teamed up with Italy’s most famous vermouth to create this stylish bar & bistro within one of Milan’s magnificent aristocratic mansion houses, now a flagship menswear store. The notion of the ‘aperitivo’ is said to have been conceived in Milan. Here enjoy cocktails with snacks included in the price. It can be a fun way to immerse yourself in city culture whilst saving money on dinner! Sometimes you may hear this being referred to as ‘apericena’ – combining the words aperitivo (drink before a meal) and cena (dinner). 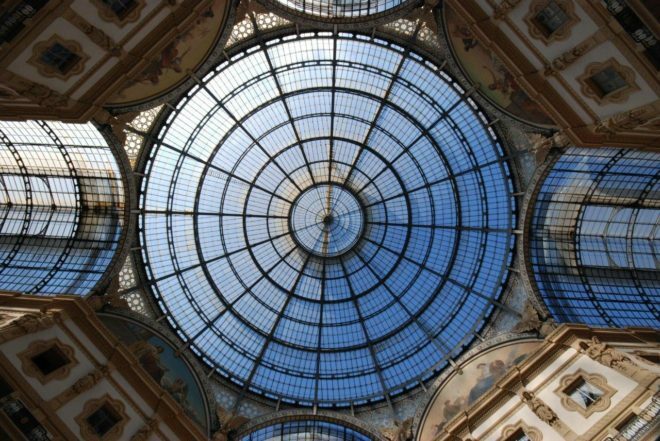 Said to be the birthplace of the Milanese aperitivo, this iconic bar is back in the Galleria Vittorio Emanuele II. 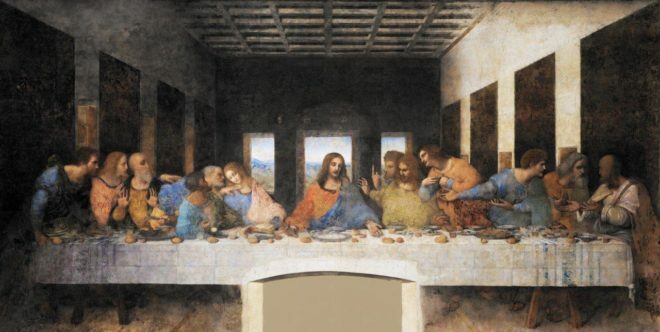 Adjacent to the Church of Santa Maria delle Grazie, is the Milan museum of Leonardo da Vinci’s masterpiece, ‘Il Cenacola’, The Last Supper. It’s advisable to get tickets months in advance. The church’s website has a link to the official sales agent. However, off-season I found that going to the museum in the morning it was possible to get tickets for later in the day or the next day. Only 25 people at a time are admitted. Tickets are 3 euro to visit the Cathedral and 13 euro to take the lift to the roof terraces, which offer panoramic views across the city’s modern skyline to the mountains beyond. Queues can be long so plan accordingly. There is also a free entrance for worshippers. If you choose to take this entrance (usually no queue) bear in mind it is not intended for tourists, so photography and talking are not allowed. Three historic buildings on via Manzoni, piazza della Scala and via Morone house a collection of 19th and 20th century art. For fabulous displays of world-class brands head to the fashion district (quadrilatero della Moda), around via Montenapoleone, via Andrea, via Gesù, via della Spiga and via Borgospesso – after all, it costs nothing to window shop! If you are looking for last season clothes that are reduced, try the outlets that surround Milan. FoxTown, Serravalle, Fidenza, Vicolungo and Franciacorta all offer shuttle bus services from the city centre to their retail villages. If you don’t want to leave the city, but still desire a bargain, try visiting this well-established outlet found not far from Central Station – accessible by metro, tram & bus. You can enjoy this iconic shopping arcade from a whole new perspective thanks to the panoramic walkway – tickets are 12 euro. Depending on the season visitors can enjoy breakfast, snacks and even open-air cinema on the rooftop. 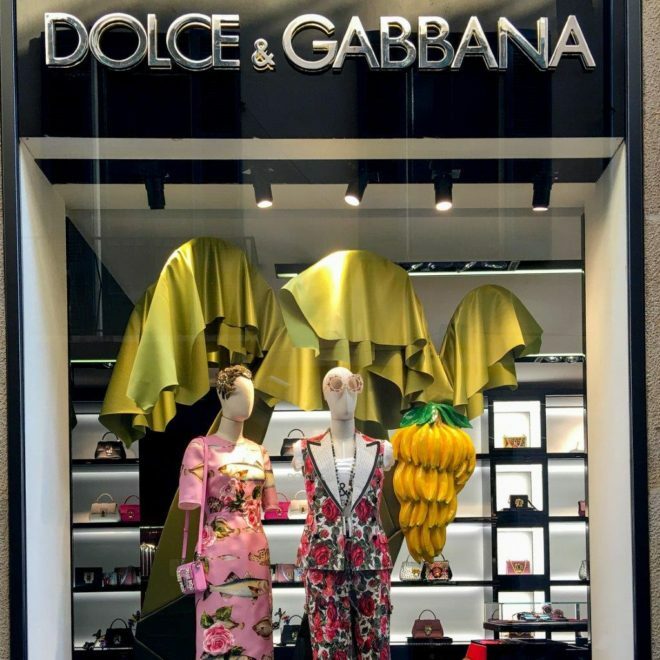 Within the arcades one finds all the familiar fashion names including Prada, Gucci, Armani, and Versace as well as fascinating Italian stores like shirt-maker Cade; and bespoke glove-maker Piumelli. Ryanair offers direct flights from Malaga to Bergamo, an hour’s transfer outside the city, served by a regular and inexpensive coach service to the city’s architecturally striking Milano Centrale station. 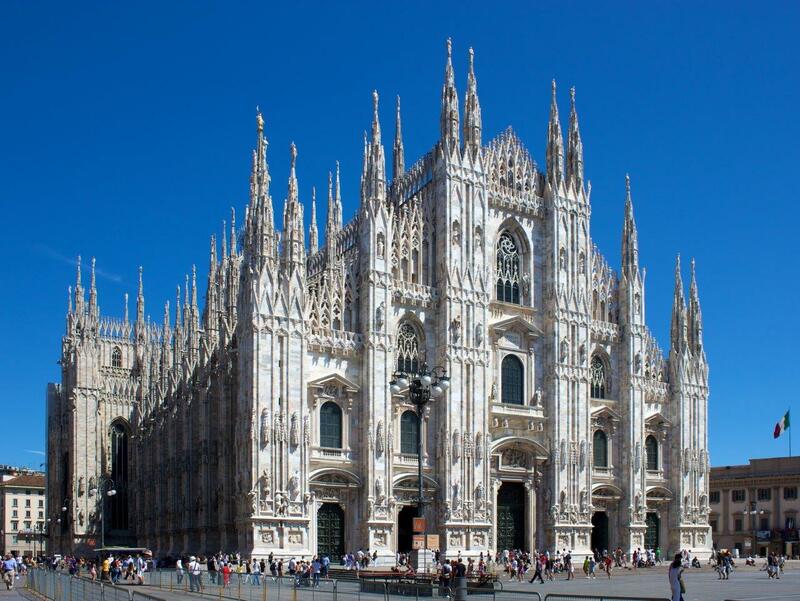 EasyJet offers direct flights to Milan Malpensa, with train services to the metro (within half an hour) or to Central Station (within an hour). 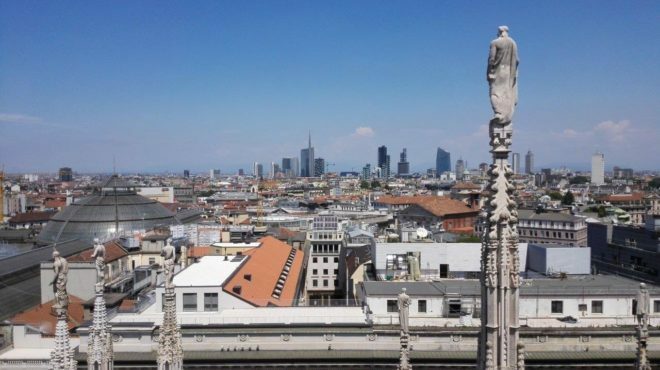 From the Central Station, access the metro – the M3 line will take you directly to the piazza del Duomo (Duomo station) for about 3 euro return. There are also high-speed intercity train services to destinations including Venice.